Barnes will offer guidance and evaluate information, assist with forming multidisciplinary groups, including law enforcement perspectives to further the mission of schools. The committee is comprised of law enforcement, healthcare, education, and safety service professionals volunteering to serve on the committee. Take a moment to explore NSA Resolution For School Safety, along with Indiana’s Report On School Safety Recommendations. The White House has been reviewing submissions related to school safety and security. Steve Luce from the Indiana Sheriffs Association has met with Vice President Pence as part of the comprehensive scope the committee is pursuing. The committee will evaluate evidenced-based practices, suggest and promote best practices that may prevent and mitigate violence in schools. The Active Shooter and Hostile Event Response ideas are similar to the general direction of the NSA. In contrast, the NSA appreciates the local communities they serve may prefer certain risk appropriate recommendations and practices over others. As an example, some schools with trained and armed staff members are worried more about high powered long barrel weapons than handguns. 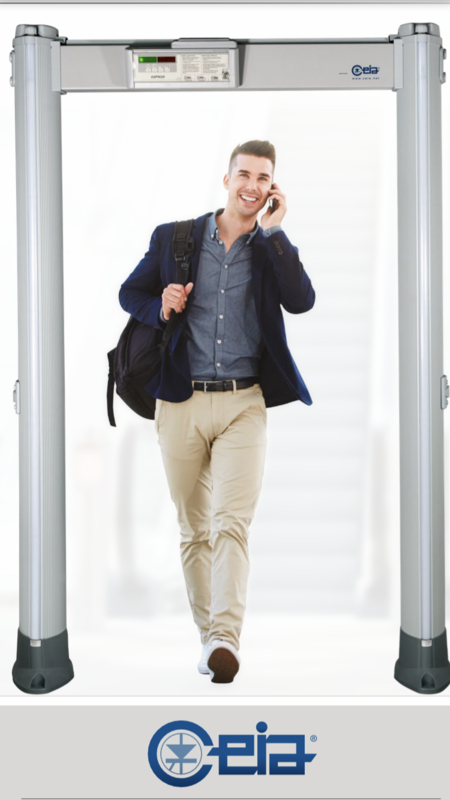 To accommodate this trend Ceia developed a walk-through metal detector specifically programmed to allow laptops and cell phones pass through, while still being able to detect the type high powered long barrel weapons use in mass casualty incidents. More advanced metal detectors may be part of a safety and security solution as more schools are providing laptops and tablets instead of books, but still, need to detect for weapons. One technology or any single methodology won’t apply to all, but working together with local communities and sharing valuable insights are the best way to determine the most appropriate solutions from school to school. Click here to check out David Barnes and Steve Luce on Good Morning Cincinnati talking about school safety and security. This entry was posted in Active Shooter, Anti-Terrorism, Courthouse Security, DHS, Law Enforcement, Local Community Protection, Local Government Security, National Security, Safety Entrance, School Security and tagged Active Shooter, Active shooter plan, Courthouse Security, Department of Homeland Security, Metal Detection, Protect What Matters, Qualified Anti-terrorism Technologies, SAFETY Act, Safety Entrances, School Security, State Government Security. Bookmark the permalink.